Y2K Pops! is an orchestra of 101 computers. 12/31/99... how many will fail? collaboration with William Tremblay. 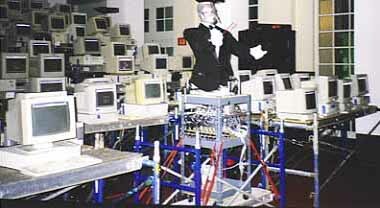 An orchestra of 101 computers of varying vintages ran continuously in an installation at the Hynes Convention Center throughout the critical period of New Year's Eve. Under the direction of the robotic Semi-Conductor, (remarkably) all computers completed the journey into the 21st century without incident! Y2KPops! 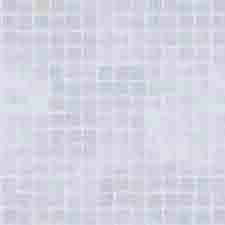 was at once a comment on the media hype surrounding the "Y2K problem", and a performance of the actual problem. None of the personal computers failed, as the anticipating audience watched. Zero failures. All computers played on.